Are you one of those who need to go to bed with some music, otherwise you can’t fall asleep? I can attest that wearing a pair of headphones while lying down on a pillow can get pretty painful on the ears after a while, hence the availability of the Penguin Music Pillow that comes with a connection to your favorite portable media player, where you can not only fall asleep with your favorite tunes playing softly through the pillow without running the risk of hurting your ears. 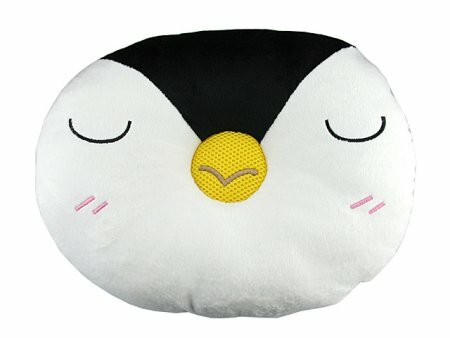 Perfect for those post-lunch catnaps – the Penguin Music Pillow retails for $14 a pop and comes in two other animal designs.